You’ve packed your bags, said goodbye to friends, grandparents and cousins – you’re about to embark on the adventure of a lifetime with your family.You may view moving to Ghent as an opportunity to broaden your children’s horizons or you may view it with trepidation and be worried about integrating with the local community. Regardless, you will experience many new things. Moving can be a stressful experience for children but taking the opportunity to explore the city and your new neighbourhood together will help the entire family feel more at home. Ghent is a lively city with many amenities, here are three tips for newcomers with children. If you’re coming to work or study in Ghent you’ve probably already gone through the process of deciding what you could fit into your suitcases or the container that is still on its way. Or maybe your kids are bored with the toys they already know from home … don’t despair, there’s no need to hit the closest junky toy store. Instead head to the nearest Speel-o-theek where for a small fee you can borrow a wide variety of toys, books and puzzles. This is not just a toy library, but also a meeting place and great hub of information, plus you will meet other parents and children in your neighbourhood. A list of the Speel-O-Theek locations in Ghent is available on the city’s website. They each have slightly different opening hours so be sure to check before you leave home. Your local library is also a great place to start, some have message boards to find out about local events and groups. Most libraries have a section in English and all have wonderful children’s books. Plus, if you are looking for a book but can’t find it in the branch nearest you, you can request to have it transferred when it next becomes available. 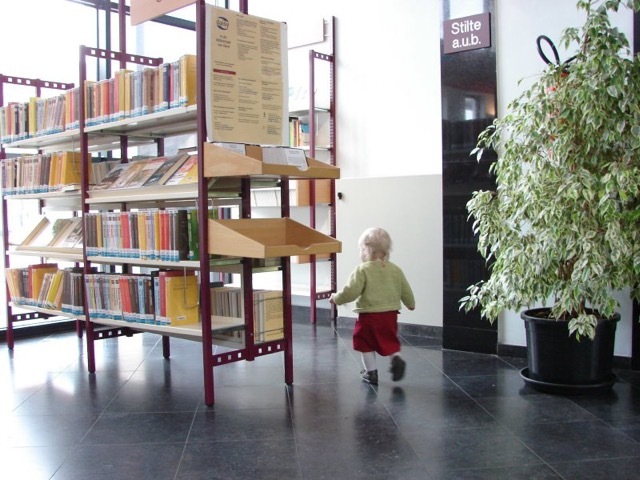 Keep in mind that Ghent’s main library, de Krook, has a separate Children’s Library with limited hours, because it is often reserved during school hours for group visits. Ghent is full of parks and some hidden gems, but you have to know where they are … so be sure to stop by the visitor’s bureau and pick up a map. But first check out our guide here. You might want to start with Citadel Park, located near the centre of Ghent, or jump on the tram and head slightly out of town to Gentbrugse Meersen. This park is especially nice if you have children of different ages, because it includes a variety of age-specific structures and you can almost see everyone from a single vantage point. The park includes a labyrinth of nature walks, including a ‘barefoot’ route, and is home to the “Geboortebos” where, beginning in 2008, children born in Ghent have been invited to plant a tree to honour their birth. Another lovely place, if you enjoy quiet discovery walks, is the Bourgoyen-Ossemeersen Nature Reserve which offers a tranquil atmosphere and is often full of birds on their way to and from their winter destinations.